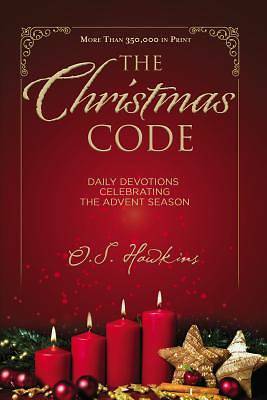 Grow close to the Lord this Advent season with 25 insightful and meaningful devotions from The Christmas Code by bestselling author O. S. Hawkins. Trace the birth of Jesus from its roots in the Old Testament to the ultimate gift of God: salvation. With a short reading each day leading up to Christmas, this devotional will be the perfect way to keep daily focus on the true meaning of Christmas. At only $2.99, this booklet is an excellent value and a gift of appreciation and affection for the people in your life. It is a great gift for friends and family, teachers, pastoral staff, Bible study groups, church congregations, and service providers. Each day includes a passage of Scripture, a devotional thought, a Code Word, and a prayer of reflection. Royalties from the book are donated to Mission: Dignity, a ministry that helps men and women who have faithfully served God's people for modest pay retire with well-deserved dignity, independence, and often the ability to continue serving.